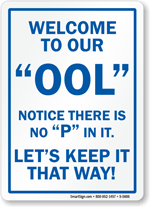 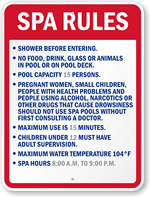 Pool rules should be stated clearly. 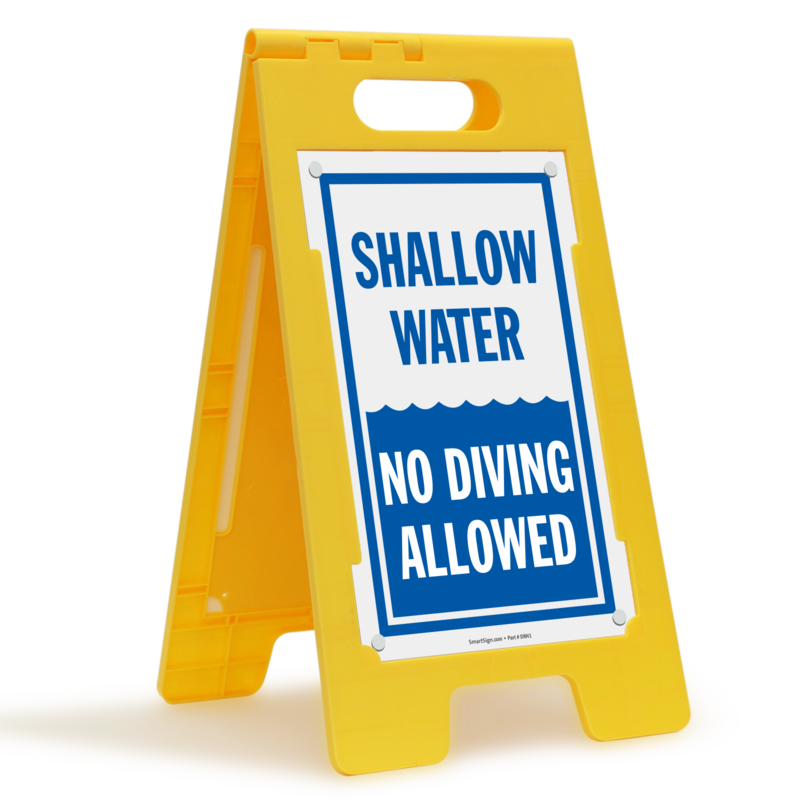 Use this 'Shallow Water - No Diving Allowed' free standing floor sign and make sure no one dives in pool. 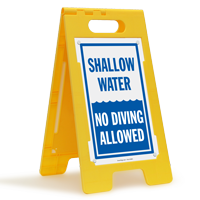 • Floor sign is double-sided for optimum visibility. 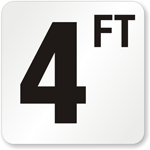 • Free-standing floor sign grabs attention and sends a clear message.